Century Interactive releases new service that provides targeted phone skills training to clients. Real-time performance data shows the phones skills of each agent. How good are your sales guys on the phone, really? Do the same agents make the same mistakes, over and over? Do you feel overwhelmed and powerless when it comes to helping them overcome their issues? This situation can be quite frustrating. However, being aware of your team’s phone mistakes is a necessary first step toward making positive change. The second step is finding a remedy. You need a way to train and improve your team. You need something that not only gets the job done, but is time and cost effective. Well, look no further. Century Interactive’s Phone Skills Training is your solution. That said, if Owning the Phone were easy, then everyone would be doing it. Every call would result in an appointment, and many of those would result in new business. Owning the Phone takes hard work. In order to make a lasting impact with your sales agents, individualized phone skills training and instruction are key. Century Interactive gives you that individualized instruction with its new Phone Skills Training program. Century Interactive addresses every single instance of an agent fumbling on an important phone skill with a short, engaging and fun video lesson. In order to help reinforce the material, phone skills training requires agents take a simple quiz following each lesson. 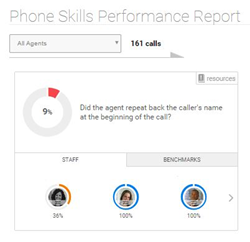 Phone Skills Training is unique in that it identifies an agent’s individual needs. In addition to videos, the program provides real time, easy-to-read reporting on an agent’s strengths and weaknesses. It tracks improvement and gives positive feedback when an agent masters a new skill, too. The phone skills training program addresses the performance of your phone-handlers across about a dozen skill areas. These phone skill areas strongly correlate to conducting a better phone conversation and securing more leads. Century Interactive’s Phone Skills Training is available to existing users on any product. The heavy responsibility of training employees normally rests on a manager’s shoulders, but Century Interactive’s new program removes that burden and gets your employees where they need to be quickly and efficiently. For more information about Phone Skills Training and Owning the Phone, visit http://www.centuryinteractive.com.